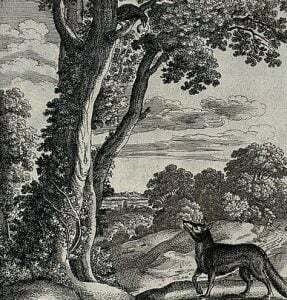 Once upon a time, there lived a very cunning fox. He lived in a jungle in a very hot country just like Bangladesh. One day he was going around in search of food. Suddenly he saw a crow with a big piece of meat in its beak. It was sitting on the branch of a tree. The fox became greedy to get the piece of meat. He began to praise the crow immediately. He said, Please, sing a song. I think you have a nice voice like your appearance.” The crow felt flattered. It opened its mouth. At once the piece of meat fell down on the ground from its beak. The fox picked it up, smiled and went away.